Well, as you have probably guessed, everything doesn’t just work correctly. Traditional methods for building projects introduce a variety of issues that reduce the efficiency of American labor during design and construction and create operations, maintenance, and post-occupancy comfort problems for owners and users. The construction and commissioning industries would both benefit from modernization of current methods. For the past 50 years in the United States, buildings have been treated as custom projects. For every new building, we recreate the wheel. Unique project teams are created to design specific technical solutions for each building system, novel supply chains and new combinations of production methods are used, and special site conditions and safety considerations are accounted for with different plans tailored to each project location. This approach results in projects that are challenging to implement sustainably, and a construction industry plagued by low profit margins. 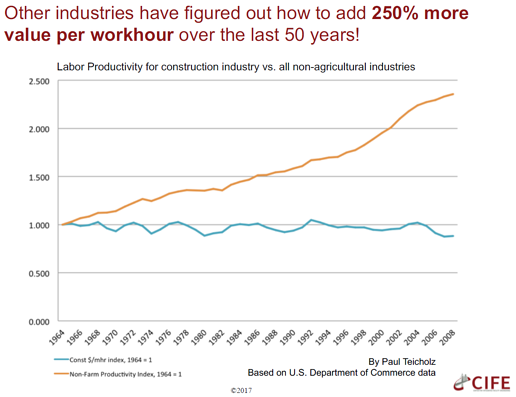 Figure 1 shows the productivity of the construction industry (blue) and the manufacturing industry (orange) over the past 50 years. Note that while the manufacturing industry has seen the benefits of mass production and lower development costs, the productivity of the buildings industry has stayed relatively stagnant despite technological advances in building modeling, structural materials, and automation. This is partially due to a cultural attitude that ‘every project is unique.' Buildings are networks of complex elements and systems that are often required to come together in an accelerated time frame, but the systems and elements do not need to be custom for every project. While buildings may be complex, and the systems inside them may be evolving and presenting new challenges, there are many opportunities for increased efficiency that can be learned from the manufacturing industry. Building materials and components can be prefabricated, building systems can be configured in modules off-site, and packaging and assembly of materials can be automated. At the factory, sensors can be installed in structures and systems to provide more effective energy management and optimized logistics. In these ways, mass production processes can be introduced to the buildings industry to integrate systems that are commonly connected in the field and have high potential for installation and performance issues. There is a trade-off between standardization and customization at the heart of industrialized construction, but it seems that much of the structural, mechanical, electrical, and plumbing systems in many buildings would benefit from more standardized designs and more predictable production processes. Lawrence Berkeley National Labs maintains a database comprised of more than 225,000 commercial buildings, with a median floor area of 35,000 square feet. 85% of the new buildings being commissioned had issues related to installation modifications, over 70% of projects required mechanical fixes, and more than 40% of projects had issues related to design changes. If HVAC systems were more uniform, better integrated with other systems, and were configured off-site, many of these issues would decrease dramatically. Quality assurance is much more effective in a controlled environment like a factory, rather than in the field, where resources and schedules become more complicated and variable. According to Jerker Lessing of BoKlok (a Skanska and IKEA residential construction joint venture), Sweden currently leads the way in industrialized construction, with 80% of single-family homes built with prefabricated and automated systems and structural components. There are several companies employing these methodologies and finding success in the U.S. construction market. One example is Project Frog, which provides energy efficient, prefabricated building kits for educational and municipal facilities. 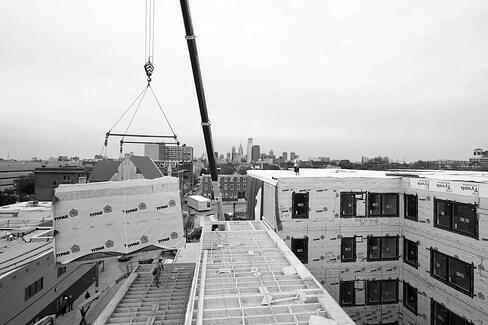 Another company, BONE Structure, balances customization with prefabrication by designing and building residential projects using low-waste steel structural systems manufactured off-site with net zero-ready thermal envelopes. 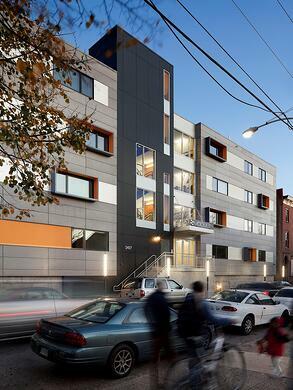 ISA has designed several modular buildings in America, including “The Modules” in Philadelphia, the largest prefabricated LEED-rated multifamily project in the United States (see Figure 3). At the 2017 Industrialized Construction Forum, Utah University reported that The Modules was built 44% faster and cost 26% less, when compared to conventional construction methods. 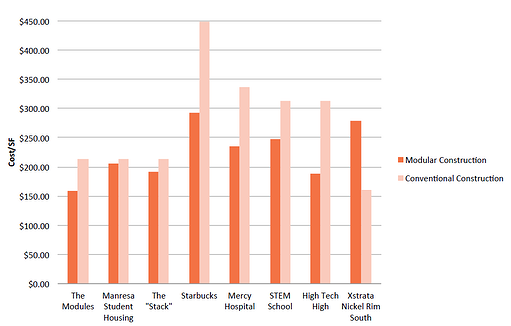 Figure 4 shows the cost results for all the projects in the University of Utah study. The average project cost savings for using modular construction methods was 11%. For the same projects, the average savings in construction time was 42%. 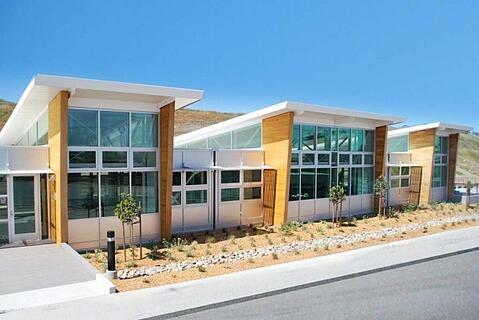 In general, prefabricated and modular buildings save money and time. None of this is intended to suggest that commissioning would have no purpose or provide less value in an industrialized construction environment. Rather, if industrialized construction were to become mainstream in the U.S., commissioning providers would spend less time on issues related to design changes and installation errors and would be able to focus more time and effort on solving more complex issues and ensuring energy efficiency goals are met. The increasingly challenging problems in buildings involve systems integration, building automation system sensor calibration, functional performance testing, and trend log verification. The allotted time for commissioning is precious, and is better spent on investigating issues related to unnecessary energy consumption and indoor environmental quality. Industrialized construction methods offer an opportunity for more easily configured buildings in which commissioning activities can be more efficient and provide more value to owners and occupants. Have you worked on a project that used industrialized construction methods? Do you foresee working on one in the future? Offer your thoughts and project stories in the comments below.